Maintain outperform with an unchanged target price (TP) of 91 sen: I-Bhd’s third quarter of financial year 2018 (3QFY18) net profit of RM5.7 million (-20.7% year-on-year [y-o-y]; -74.5% quarter-on-quarter [q-o-q]) is slightly underwhelming, though due to higher-than-normal tax charges in the quarter owing to timing differences. Cumulative nine months of FY18 (9MFY18) net profit of RM52.5 million (+6.5% y-o-y) is below both our and consensus expectations at 59.2% and 67.1% of full-year estimates respectively. While longer-term earnings growth remains intact, underpinned by a remaining 60% of its gross development value yet to be realised, we are lowering our near-term FY18 to FY20 estimates by an average 25% to account for much slower sales in its 8 Kia Peng project and slight delays in new launches. 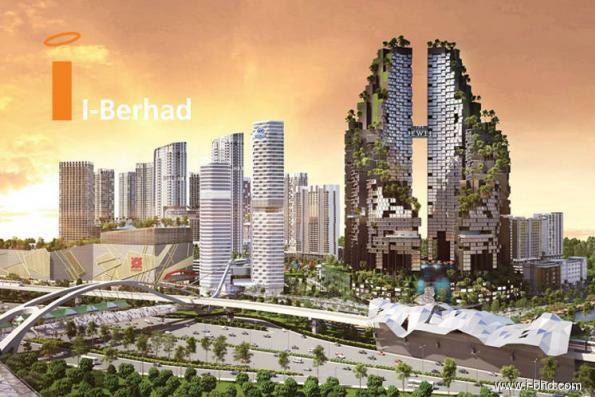 We still like I-Bhd’s value proposition and attractive location in benefitting from the urbanisation of the outer Klang Valley region (Klang and Shah Alam). Nonetheless, we retain our “outperform” call. TP of 91 sen remains unchanged, a 50% discount to fully diluted revalued net asset value (RNAV). Property development will remain a mainstay of the group’s growth. Still contributing the bulk to overall numbers, divisional pre-tax profit of RM19 million for 3QFY18 is 16.1% higher as compared with the previous year due to MFRS15-related adjustments. Near-term challenges are reflected by q-o-q drops in both the revenue and pre-tax lines. A drop in unbilled sales from RM305 million in the immediate preceding quarter to RM161 million currently with no significant replenishments in sight is slightly worrisome, though we are cautiously optimistic over contributions from the 8 Kia Peng project in downtown Kuala Lumpur despite seeing some slowdowns in recent months. Planned launches at i-City in mid-2019 should also help arrest current declining trends somewhat. Property investment pre-tax contributions, though seeing losses widen to RM2.1 million in 3QFY18, is poised to see a turnaround in fortunes in the coming financial year with the imminent opening of its 40%-owned one million sq ft mall, which will also bring its own 150,000 sq ft retail space into play. This article first appeared in The Edge Financial Daily, on Nov 9, 2018.